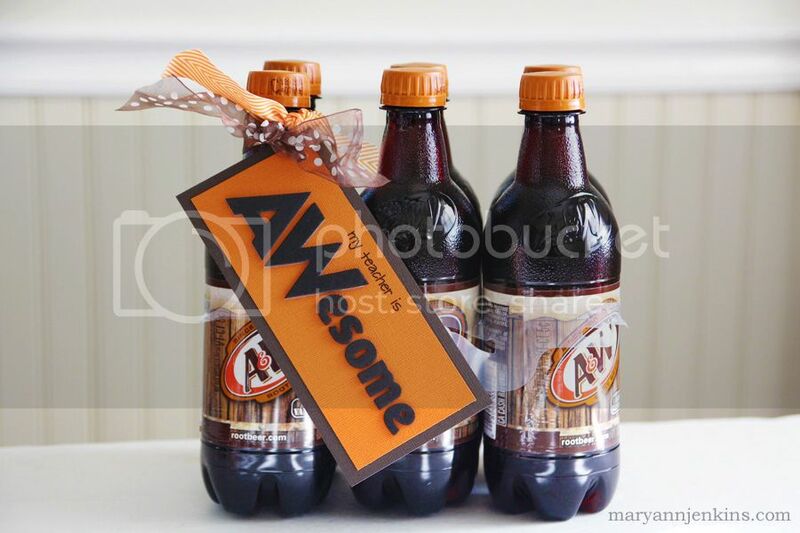 Quick and easy to make with cardstock, alpha letters, ribbon and a 6-pack of A&W root beer! What a super fun idea! Love it! Love this cute project, Mary Ann! !